Emma Arakelyan will be joining a competition as a judge on critical and high impact area of Intellectual Property Management. The topics will include domain names, copyright, software and database, trademark, and IP in the jurisdictions of different countries. 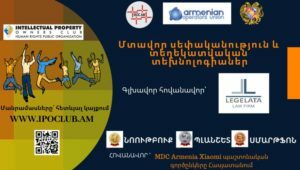 The event is organized by Intellectual Property Owners Club of Armenia and university students are invited to participate and compete. Emma Arakelyan will be the Key Note speaker at the Kean University the SheLeadsTech™ track during the SECON conference. SECON is where the Cybersecurity, Risk and Audit fields merge to demonstrate the disruptive ways in which professionals and businesses manage, detect and mitigate risk. It is the premier New Jersey event on the industry calendar where C-Level Executives, renowned speakers, innovators, and disruptors come together to drive change in the future of cybersecurity. •	Educating employees, allies, and engaged professionals to overcome unconscious biases against women in the workforce. •	Preparing current and upcoming female leaders for the digital future through training and skills development programs. •	Building strategic partnerships beyond ISACA to support unique challenges in each region. Emma Arakelyan is a Featured Speakers at Columbia Business School Executive Program and she will deliver her next speech on Business Digitization. She will be instructing students on how plan for 10x growth, best to automate their Accounting and Finance process and align it to their overall business strategy. CCBP is an executive education program for small business owners aligned with the core curriculum of the MBA program at Columbia Business School. Participants will receive one-on-one business counseling, entrepreneurial education, and professionally facilitated peer learning. The program helps established business owners focus on their goals, maximize their time, increase revenues, build the right team, and make a big leap forward. 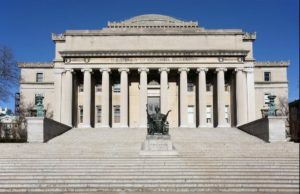 The program year is divided into four semesters and aligns with the core curriculum of the MBA program at Columbia Business School. Summers offer CEOs and their next-level managers the option of attending skills trainings designed to build on the educational modules of the previous semester. An important element of the second-year curriculum is intensive training on the procurement process. The program consists of three hour instructor led classes on specified topics offered weekly or on alternate weeks. After completion of each module, students work together in small groups in order to develop business goals incorporating their studies. Once a semester, students meet with instructors one on one to review goals. CCBP participants also have access to the broadly-offered resources of the Columbia University-Harlem Small Business Development Center and select Business School offerings during the program and beyond. At the conclusion of the program, students will have completed an operations manual, a human resources manual and a case study. Upon graduation, CCBP alumni receive a certificate of completion and credits towards the Certificate in Business Excellence conferred by Columbia Business School. After graduation, CCBP alumni can continue to work closely with CH-SBDC counselors and participate in Columbia University entrepreneurship events.